Located in the beautiful Arava landscape, our guest will experience the beauty of the desert. We insist on providing kind hospitality and clean facilities. Our guest can choose between sleeping in dorms, tent or a private hut. Sleeping is on mattresses. We have a clean lavatory facilities. 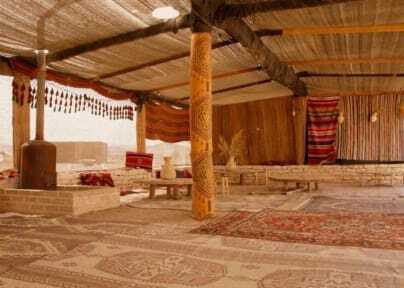 Our guests can order traditional Bedouin meals and Israeli breakfast. There is a small supermarket for groceries in Moshav Tzofar. We have cooking facilities, and fire place. You can buy beers and soft drinks at the Inn. There are many animals in the Inn; camels, donkeys' goats and more. 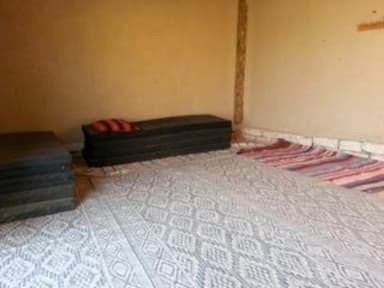 You can bring your own sleeping bag or rent one from us.